Nokia Lumia 530 coming to Cricket Wireless? The Nokia Lumia 520 is the most popular Windows Phone of all time. The combination of its low-price and capabilities had the phone selling like hotcakes in emerging markets. In the U.S., the Lumia 520 and its T-Mobile branded brother (the Nokia Lumia 521) sold well. A sequel, the Nokia Lumia 525, had the same specs except that the amount of RAM was doubled to 1GB. This allowed the newer model to support more apps and content than the original. The next Lumia phone in the entry-level "value" segment, is the unannounced Nokia Lumia 530. This handset is tipped to be called the Nokia Rock, according to evleaks. A posting by the serial leaker reveals an alleged new destination for the phone in the states, other than T-Mobile. According to that post, Cricket Wireless will be offering the Nokia Lumia 530 aka Nokia Rock, sometime in the fourth quarter. 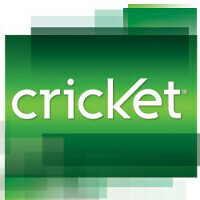 Cricket has been relaunched after its purchase by AT&T as part of the Leap Wireless acquisition. We expect the Nokia Lumia 530 to offer a slightly larger 4.3 inch screen, compared to the 4 inch glass on the Lumia 520, Lumia 521 and Lumia 525. However, resolution will probably stay at 480 x 800. And we wouldn't be surprised if most of the specs remained the same as those on the Nokia Lumia 525, with a few changes. That would mean a dual-core 1GHz processor under the hood (we could see a bump up in this department), with 1GB of RAM and 8GB of native storage. A 64GB capacity microSD slot would be available, while a 5MP camera would still reside on the back. The 1430mAh battery could remain unchanged, although we wouldn't be terribly surprised to see a larger capacity battery used in order to keep the power running longer. Good, keep the platform growing. Windows 8 has never & at this point, probably never will support qHD resolution. So let me get this straight the 520 is faster to pick up and make a phone call than your 1020? That doesn't make sense. It does, seeing that WP is more optimized for lower end hardware than flagship specs. Still baffling to me why they don't include a flash for the camera. That should be standard! & probably the only thing that will stop me from picking one up. It better come to Cricket, it'll be the only way their subscribers ever get 8.1 on a Lumia. Cricket is just aio wireless rebranded after tmobile didn't like the purple color. They already have it via att and others. Cricket cdma is dead.